Simon’s Town Quayside Hotel is set on the water’s edge of Simon’s Town yacht basin with breathtaking views over False Bay and the majestic Simon’s Kloof mountains.Situated at the heart of the Cape Point Route, this superior four star hotel and conference centre offers a unique accommodation, conferencing, shopping and dining experience for business and leisure travelers alike. 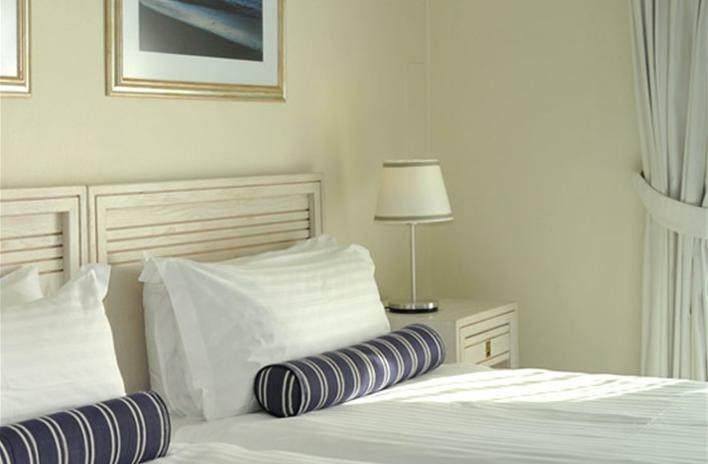 Each luxury bedroom has magnificent views of either False Bay and the Simon’s Town yacht basin or the majestic Simon’s Kloof mountains. Comfortably furnished for ultimate relaxation, all rooms have en-suite bathrooms with separate bath and shower. 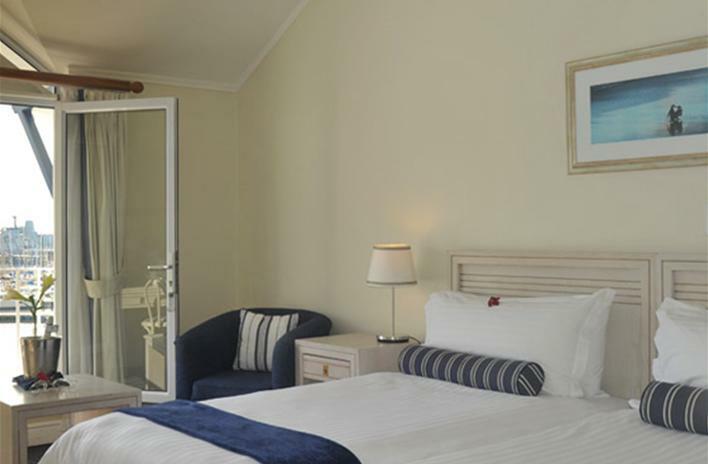 Enjoy a spectacular sunrise form the private balcony of your room and absorb the breathtaking views across the bay.Take a stroll along Simon’s Town Historic Mile or an energetic walk in the surrounding Simon’s Kloof mountains. For the golf lovers, there is a variety of golf courses in close proximity of the hotel. Where a child shares with 1 adult the double rate applies. Children staying on their own in a room will pay the prevailing single or double rate. 3rd Person Sharing: We will be able to accommodate a 3rd person Sharing in Luxury Suites on a sleeper couch and they will pay the prevailing adult sharing rate. To secure your booking, full payment is required 30 days prior to arrival. For bookings made less than 30 days prior to arrival, full payment is required on confirmation. Refunds, if issued, are subject to a 10% administration fee. No age restriction. Where a suitable rollaway bed is available it may be used for a maximum of two children U/12 years or one adult sharing the room who will then each be charged the 3rd person sharing rate of R250.00. Maximum of 4 persons per room in a Luxury Sea Facing Room with balcony and a maximum of 3 persons per room in the Sea Facing and Mountain Facing Rooms large enough to accommodate an extra bed. Where a child shares with 1 adult the double rate applies. Children staying on their own in a room will pay the prevailing single or double rate. For infants (less than 3 years) a cot is available on request and by prior arrangement at no extra charge. 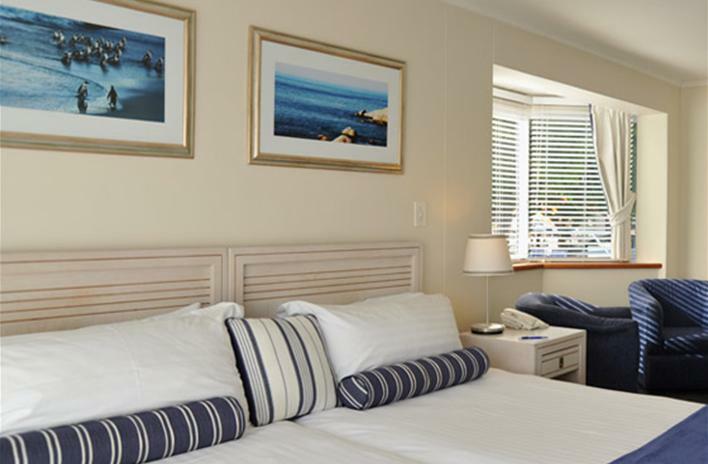 Each luxury bedroom has magnificent views of either False Bay and the Simon’s Town yacht basin or the majestic Simon’s Kloof mountains. 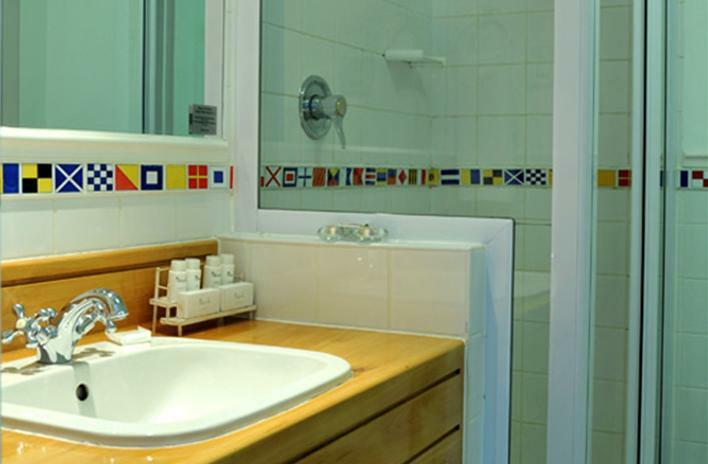 Comfortably furnished for ultimate relaxation, all rooms have en-suite bathrooms with separate bath and shower. Enjoy a spectacular sunrise form the private balcony of your room and absorb the breathtaking views across the bay. 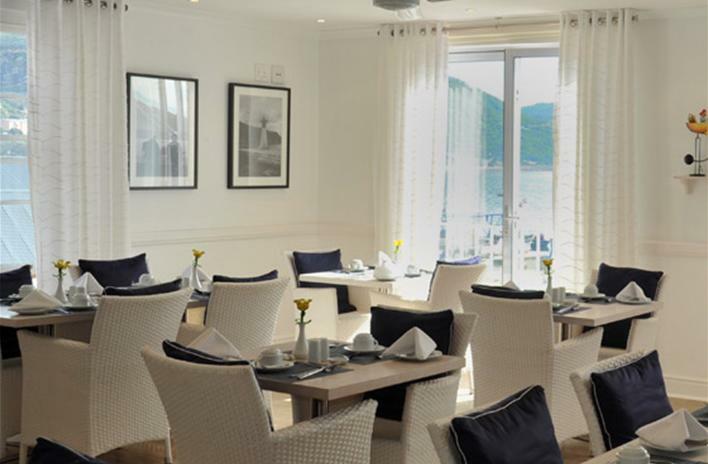 All tastes are catered for in a variety of restaurants offering a selection of culinary delights several of which are situated within the Quayside Waterfront Centre located on the water’s edge with breathtaking sea and harbour views. Choose from a wide assortment of tasty steaks, fish or pizza accompanied by a bottle or two of award-winning South African wine. Room service is served throughout the day. The Business Centre includes internet, faxing, printing and photocopying facilities. Wi-Fi is available throughout the hotel. 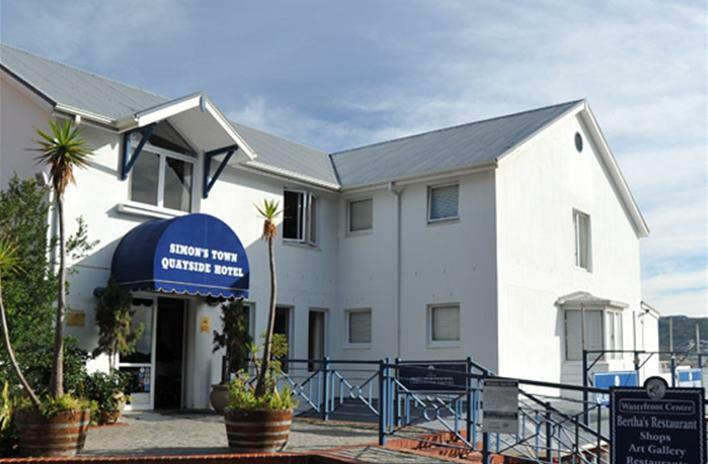 Simon’s Town Quayside Hotel offers two fully equipped conference centres – the Drakensberg Conference facility catering for groups of up to 60 delegates and boasting the most advanced amenities with the additional advantage of the Protea Conference area as a breakaway room. The smaller Outeniqua Conference facility caters for up to fifteen delegates. This upmarket and private venue is ideal for business discussions and think tanks. An adjacent private lounge is available for delegate use only. The Conference centres are equipped with overhead projector, flip charts, whiteboards and stationary microphone on request. 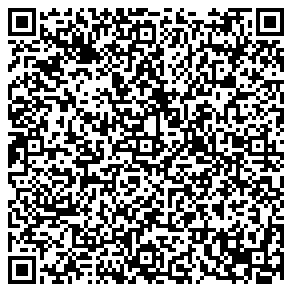 Additional equipment can be supplied at a nominal fee. The Conference centre and surrounding areas have proven ideal for team building exercises and a variety of unique activities are available for delegates to enjoy whilst attending a conference. A mere 40 minutes from Cape Town’s city centre, Simon’s Town offers an eclectic array of exciting attractions in and around the surrounding area. Take a leisurely stroll to nearby Boulders Beach to view the biggest penguin colony in Africa! Spend a morning shark cage diving with the Great White sharks or go kayaking in and around the bay where you might get the opportunity to spot some whales or dolphins. Choose from a series of boat trips on your doorstep – harbour cruises, trips to Seal Island and Cape Point. Try your hand at scuba diving at some the ship wrecks around the peninsula or soak up the sun at one of the eighteen swimming beaches in the area. Go sailing, surfing and kite boarding along the False Bay Coast and for those who love fishing, take a deep sea charter or simply fish of the harbour wall at Kalk Bay. Take a stroll along Simon’s Town Historic Mile or an energetic walk in the surrounding Simon’s Kloof mountains. For the golf lovers, there is a variety of golf courses in close proximity of the hotel. There is also the Silver Mine Nature Reserve which is home to the Cape Fynbos whilst the famous Cape Point Nature Reserve is a mere 15 minute drive away. The Simon’s Town Waterfront Centre has all the sophistication that you can hope for, while still maintaining the town’s seaside atmosphere. 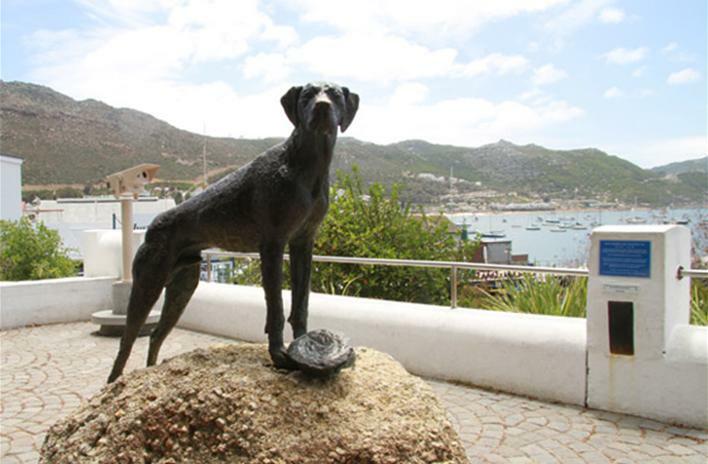 A variety of shops, with a range of products are within easy reach of the hotel and the town is rapidly gaining a reputation as the culinary capital on the Cape Point Route. Spend some time absorbing Simon’s Town’s history in the four museums in the area and for real relaxation, frequent one of the local health spas. Treat the little ones to a fun day at Mineral World or “Scratch Patch” where they can play in the pools of semi-precious gem stones and take some home as souvenirs. Visit the wetlands of Noordhoek or the World of Birds in Hout Bay or stop off at Imhoff Farm for a camel ride and a visit to the snake park. Sample some of the finest wines from some of the oldest wine farms in South Africa – Groot Constantia, Klein Constantia, Buitenverwachting and Steenberg are all within the greater surrounding area. 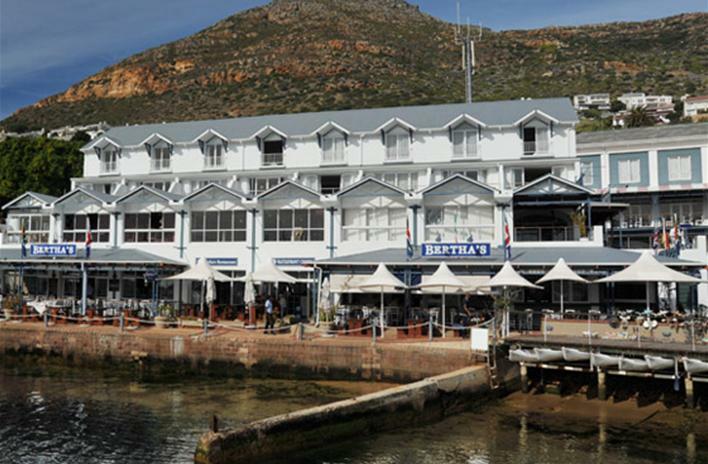 Simon’s Town Quayside Hotel offers the Drakensberg Conference Venue catering for groups of up to 50 delegates. 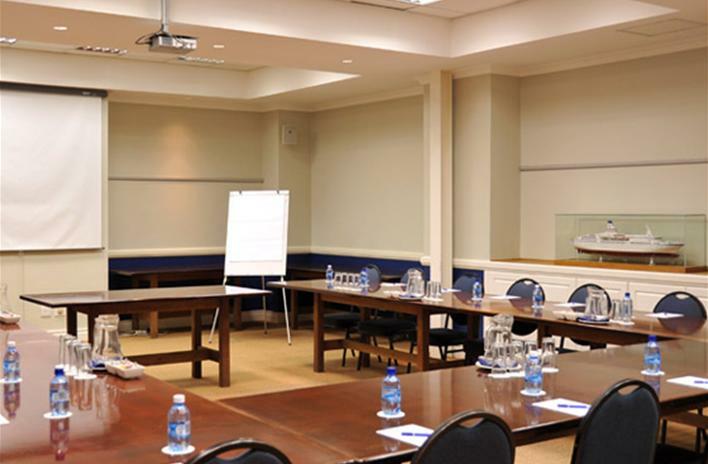 Guests using our Simon’s Town conference venue just 40 minutes from Cape Town are able to make use of the additional breakaway area, known as the Protea Conference room. Additional equipment can be supplied at a nominal cost. 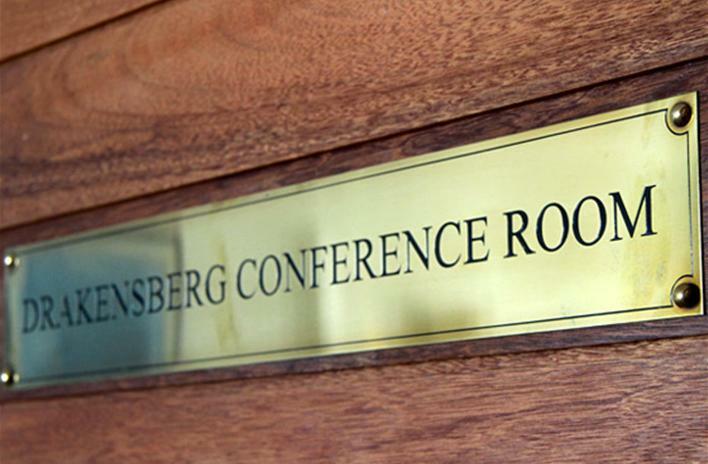 Please contact the hotel directly for conference room hire and bookings. Team building in Simon’s Town opens up opportunity for companies to make use of the abundant surrounding areas. 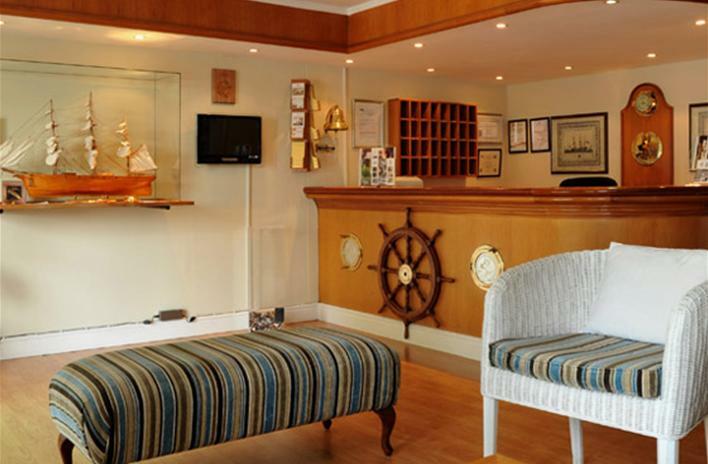 Quayside Hotel’s conference venue is the ideal indoor team building venue. 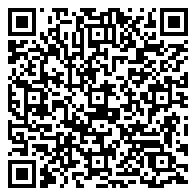 See our Conference page. All team building activities are outsourced but can easily be arranged by the Quayside Hotel, making your experience with us that much easier. Simon’s Town offers a number of exquisite stretches of beach and sea making it the ideal playground for team building. Team building is an excellent opportunity for companies to provide colleagues with a social environment to have fun and build a team spirit. We can arrange both day-events as well as weekend get-togethers. This is the perfect opportunity to combine indoor team building with the onsite team building venue and outdoor fun and entertainment in the area. 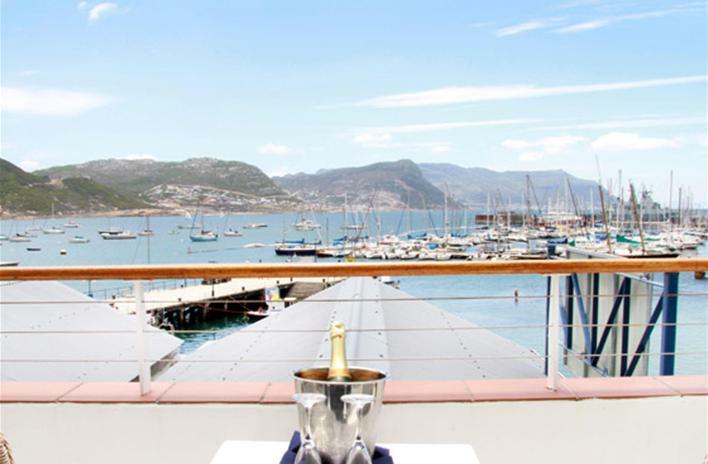 Sea Facing with Balcony Single - These modern and spacious balcony rooms offer stunning views from a private balcony over the False Bay yacht basin. All rooms are equipped with twin beds, en-suite bathrooms, air conditioning, tea & coffee making facilities, mini bar fridges, satellite TV, digital safe, WiFi (at an additional cost) and hair dryer. 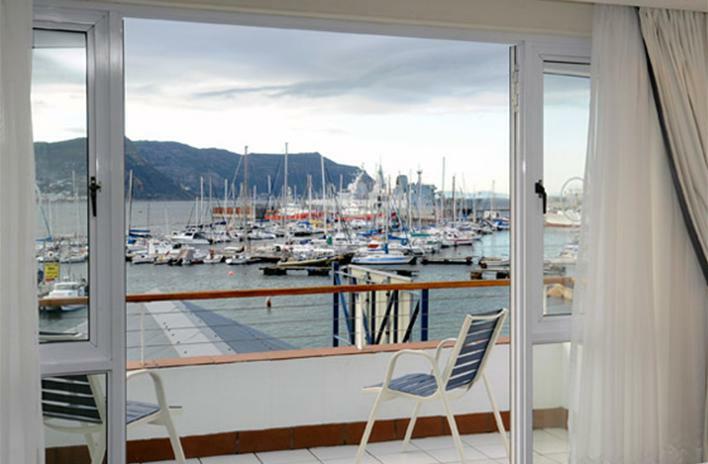 These modern and spacious balcony rooms offer stunning views from a private balcony over the False Bay yacht basin. 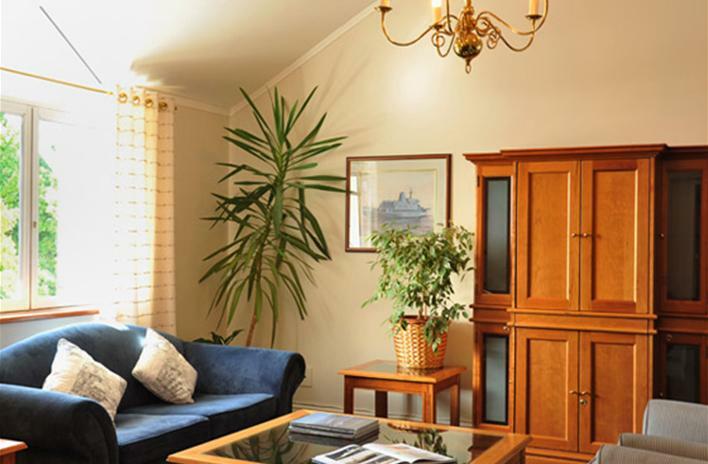 All rooms are equipped with twin beds, en-suite bathrooms, air conditioning, tea & coffee making facilities, mini bar fridges, satellite TV, digital safe, WiFi (at an additional cost) and hair dryer. 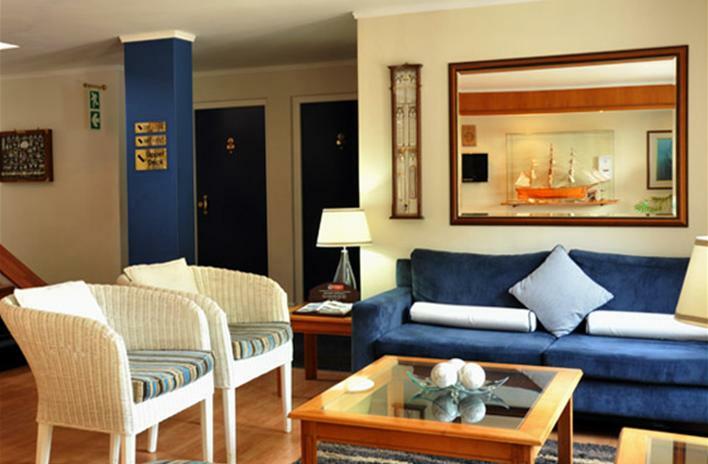 Sea Facing PPPN sharing - These modern and spacious balcony rooms offer stunning views from a private balcony over the False Bay yacht basin. All rooms are equipped with twin beds, en-suite bathrooms, air conditioning, tea & coffee making facilities, mini bar fridges, satellite TV, digital safe, WiFi (at an additional cost) and hair dryer. 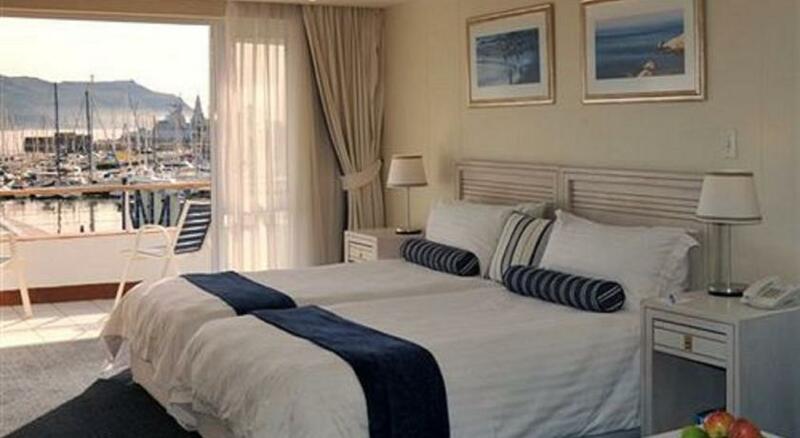 Sea Facing with Balcony PPPN sharing - These modern and spacious balcony rooms offer stunning views from a private balcony over the False Bay yacht basin. All rooms are equipped with twin beds, en-suite bathrooms, air conditioning, tea & coffee making facilities, mini bar fridges, satellite TV, digital safe, WiFi (at an additional cost) and hair dryer.